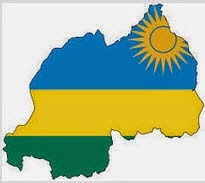 Rwanda is on the move. It’s one of the only countries expected to meet the Millennium Development Goals by 2015, and is already a leader on the continent in the areas of health care and economic growth. The successes are remarkable, but in order to be sustainable over the long term, Rwanda’s local institutions have to be healthy and high-performing. To help Rwanda achieve the sustainability it desires, the USAID-funded Human and Institutional Capacity Development project supports the country's government institutions and civil society organizations using the internationally recognized Performance Improvement (PI) approaches to demonstrably improve performance. 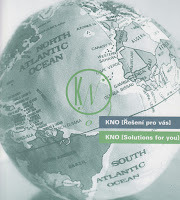 KNO has been partnered with DAI to deliver this program since 2012. The approaches include rigorous assessments of organizational needs and developing solutions to help organizations create a strategic vision, strengthen communications and internal systems, and better prepare for and adapt to challenges and changing circumstances. The project seeks to institutionalize PI approaches within Rwanda’s government and private sector, and has established a community of practice for professional Rwandan consultants seeking to incorporate the tools and processes into their work. Beginning in 2013, the project provided intensive training, much of it led by KNO partner Steven Kelly, to 60 consultants through a series of targeted workshops. It also provides coaching and mentorship, and offers paid internships to qualified local consultants to use their new skills and help the project conduct performance analysis. In the first quarter of this year, the project launched a preparatory course for Certified Performance Technologist (CPT) certification under its Human and Institutional Capacity Building (HICD) project. The workshops offered Rwandan consultants and organizations the opportunity to become officially licensed in the field of organizational capacity building through the International Society for Performance Improvement (ISPI). Recently completed over the course of 8 weeks, the trainings introduced participants to the 10 Certified Performance Technologist standards, including a focus on results, taking a systematic view, adding value, and building productive partnerships with clients and stakeholders. The HICD project provided course fees. Currently a number of the participants are completing the ISPI application. If qualified, they will earn CPT certification. This initiative is a collaborative effort with representatives from the National Capacity Building Secretariat (NCBS), local government officials, as well as private sector leaders, and more than 55 high-level Rwandan consultant members of the HICD project’s Community of Practice. The vision is that Rwanda will soon become the most highly CPT-certified country on the continent, and thus a regional resource. "We’re very excited to be partnering with NCBS on this activity. The HICD approach to performance improvement is closely aligned with Rwanda’s drive to achieve measurable performance improvements, and NCBS is the right institution to bring the approach to the private and public sector” said John Palmucci, DAI Chief of Party of the HICD project. Currently, there are very few African professionals certified by ISPI. With three Rwandans already certified through the HICD project, Rwanda is among the continent’s leaders. This training aims to put several more on the path to certification – ultimately making Rwanda the most highly CPT certified country in Africa. The project, through these and other training, aims to create a ‘Community of Practice’ in the field of organizational capacity building, creating a critical mass of local professionals available and certified to guide organizational development in both the public and private sectors. Once certified, the participants will join a community of more than 700 experts across the globe in performance improvement, and will be resources not only for Rwanda, but also for the continent. Rebecca Ruzibuka, a member of the community of practice, was one of the first consultants to join the trainings and earned an internship to assist three civil society organizations. Throughout the training, project staff mentored her on the CPT application and, in October 2013, she became the second Rwandan CPT. Since then, the approach has gained momentum in Rwanda. 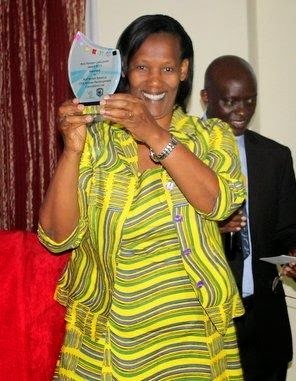 As proof, Ruzibuka was recently named the 2013 Female Consultant of the Year by the Rwanda Organization of Professional Consultants (ROPC). Ruzibuka has gone on to assist other community of practice and ROPC members with their CPT applications, and to share her experiences. "I enjoy being an ambassador for HPT and performance improvement in Rwanda," says Ruzibuka. “I was lucky to be one of the early adopters of this approach, and I feel responsible to share it to help Rwanda develop and grow, and to improve the professionalism of the consulting industry here. I also appreciate that my use of HPT approaches contributed to my being selected as [female] Consultant of the Year." “At this point, Rwanda has more CPT-trained people than any other country in Africa,” said John Palmucci, who oversees the HICD/R project in Kigali. “We want to make Rwanda a resource center so consultants can travel to other countries to support regional development”. On May 29th, USAID/Rwanda HICD, along with the Rwandan Organization for Management Consultants, sponsored a kick-off event for the emergence of an ISPI Rwanda Chapter. Over 100 people attended the meeting as potential members, and 10 senior Rwandan business leaders and consultants volunteered as a temporary steering committee to manage the formation of the chapter with the goal to have board elections within 6 months. Energy and interest is high. “Performance improvement has already made great strides in Rwanda”, said Steven Kelly, a past board member of ISPI and the senior HICD expert supporting the HICD/R efforts. He cited the Ministry of Agriculture as an example, where a team is currently improving work performance within the policy area and financial management system. “We identified critical areas of institutional deficiency, and have implemented a comprehensive package of interventions addressing information flows, knowledge enhancements, incentives, procedural processes and job aids ” he explained. The chairman of Rwanda’s Organisation for Professional Management Consultants, Vianney Makuza, agrees, saying the start of the ISPI chapter is the first step in making Rwanda a regional center. In his enthusiastic welcome speech, Makuza stated “ As religious people in Rwanda we follow the 10 commandments to guide our life. And now, going forward, we use the ten ISPI standards to direct our professional efforts”.